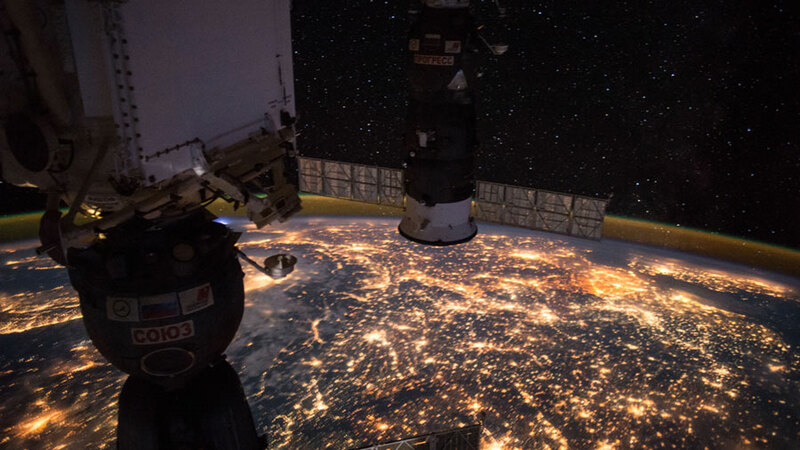 Western Europe is pictured at night by an Expedition 49 crew member. Astronauts Kate Rubins and Takuya Onishi are having a light day today ahead of the arrival of three new crewmates Friday morning. The duo also is waiting for Sunday morning’s cargo delivery aboard the Cygnus resupply ship. NASA TV will broadcast the Soyuz MS-02 space ship docking to the International Space Station beginning Friday at 5:15 a.m. EDT. NASA astronaut Shane Kimbrough and cosmonauts Sergey Ryzhikov and Andrey Borisenko will dock to the Poisk module, beginning their Expedition 49-50 mission which will last until February. Two days later on Sunday morning, the Cygnus resupply craft from Orbital ATK will arrive with more than 5,100 pounds of cargo, including gear to support dozens of science investigations. Onishi and Rubins will be stationed in the cupola at the controls of the Canadarm2 robotic arm to grapple Cygnus following its journey to the complex.